Professor Khadija von Zinnenburg Carroll is organising a conference on art history in settler states. It will also feature papers by our very own Dr Kate Nichols and Dr Greg Salter – read on to find out more! The legacy of cultural studies has included a potential expansion of art histories beyond a geographic complacency, singular notion of heritage and time. In the birthplace of cultural studies, global art history in Birmingham studies the perspectives of artists outside the Euro-American academy. This conference focusses on what can be learned and written about art history in settler-colonial states. Taking the expansion of objects, methods, and the canon into account, how can we rewrite the art history of settler states? In realising that the current frameworks for working with Indigenous art are ill-equipped to handle the challenges and reality of our globalized world, Art History in Settler States will focus on developing new tools to respond to the various dynamics of settler-colonial societies that were a part of the British Empire. Keynote speakers from five countries – Canada, Australia, New Zealand, The United States and South Africa – will guide this analysis. The colonisation of these nations, defined at the time as virgin or empty land, sought to replace the Indigenous population in order to inhabit the land themselves. The Anglo model of setter-colonialism also colonised any prior settlers and thereby enforced a subsequent pattern of forced and voluntary migration. For these nations the settler is not a homogenous or fixed figure, but one upon whom the history of settlement has been inscribed. We will explore comparisons to exploitation colonies like India, and to the problems of other settlements around the world. 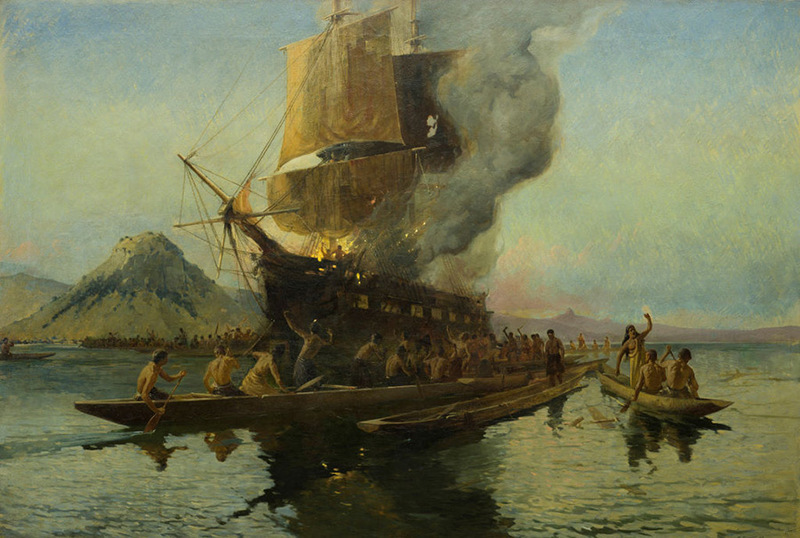 By replacing the narrative of nationhood with an emphasis on the processes and impacts of the settler-invader, settler-colonial art history responds to the indigenous challenge to recognise that colonising practices continue to structure daily life in countries that have generally preferred to think of themselves as post-colonial. Thereby, settler-colonial art history is not only about the settlers, it is also art history authored by settlers who are cognisant of their historical position and who actively seek new ways to respond to both ethical and epistemological dilemmas created by settler-colonialism. The conference will take place in the Barber Lecture Theatre, University of Birmingham, Edgbaston, Birmingham B15 2TS, United Kingdom from the 23-24 May 2017. The conference is free to attend and open to the public.